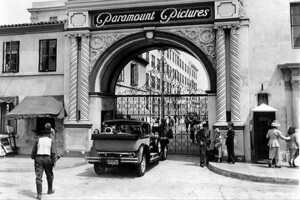 In 1948, movie studios were shaken to the core by the handing down of the Paramount Decree. The Supreme Court Of The United States ruled that the practice of block booking and ownership of theater chains by film studios constituted anti-competitive and monopolistic trade practices. Overnight studios had to rid themselves of movie theatres, re-adjust their trade practices. It was a ruling that quashed their need for an iron grip of all aspects of the motion picture business. It opened the door to competition and the localization of movie circuits. Ever since the handing down of this decree the studios have tried to regain both their control and their foothold. In 1980 when studios tried to again exert undo control over movie theatres, a group of brave independent theatre owners in Pennsylvania led by the tenacious Marvin Troutman, pushed for the implementation of The Feature Motion Picture Fair Business Practices Law. This State law became the strongest pro-exhibitor legislation enacted in the United State of America. The Act declared that the licensing and distribution of feature motion pictures to theatres, affects the general economy as well as the access of the public to works of artistic expression and opinion. This Act insures unencumbered access for the public to artistic expression and opinion in feature motion pictures at reasonable prices and at many different locations. NATO of Pennsylvania should take the pride in the work done by Mr. Troutman and company. Lately I have been revisiting some of the movies that I like, often after viewing them I ask myself a simple question “if this movie was made today would it be distributed in movie theatres”. The internal replay that is usually given is no it would not. Last night I viewed “Good Night and Good Luck”, a compelling cinematic argument set in the office of CBS during Ed Murrow’s defense against the advance of McCarthyism. The movie directed by George Clooney, was released in 2005. It featured a stellar cast, a tight and focused story as well as a hypnotic jazz soundtrack. It was a great movie, and a movie that I feel tells a tale that resonates in today’s political landscape. The movie’s budget was $7.5 million and it did a more than respectable $56 million in domestic box office. Unfortunately today, the film would be screened on HBO and then would see some meager DVD sales and then would shuffle into a cinematic oblivion. In today’s world there is little space for independently minded, smart motion pictures. They are crowded off from interlocked tales from the Marvel or DC Universe by films who have budgets in the hundreds of millions of dollars. The roots of this shift lie in the eruption of digital technology and the cable television revolution which began in the the 1980’s. In 1986 General Electric, Inc. purchased RCA for $6 billion, and in doing so acquired one of the three remaining broadcast television bastions NBC. GE, almost immediately sold off the the noble NBC radio network, as well eliminated all RCA manufacturing efforts. GE’s gutted NBC almost to the bone and then began a campaign of building cable television outlets, with its acquisition of ownership in CNBC, Bravo, American Movie Classics, and Arts and Entertainment cable television networks.
. In 1986 Capital Cities, Inc.backed by Warren Buffett bought ABC for $3.5 billion. Capital Cities, Inc. was a large of television stations and through the late 1980s and into the 1990s the the new company led by Tom Murphy moved ABC into cable television, most notably by taking control of the cable sports network, ESPN. The Cable TV previous to 1980 was a collection of small or semi-small regional operations. Their sole business was the re-distribution of television signals in areas that had trouble receiving over the air television broadcast. With arrival of HBO, ESPN and the enigmatic Channel Z cable TV suddenly had something different to sell. At its core was the ability to provide sports and movie programming previously unobtainable. To take advantage of the deep savings in the economy of operation, cable companies merged local cable franchises under single corporate banner , creating the MSOs, “multiple system operators.” The best players at this game at the time were Time Warner and Tele-Communications Inc. (TCI). Time Warner was formed by the merger of two communications powerhouses in 1989. Together they owned asset in excess of $20 billion and yearly revenues topped $10 billion. At its core was a nation-wide assembly of cable franchises. But this merger also included Warner Brothers, major Hollywood studios, as well as a home video distributor, one of the world’s top six major music labels. Included as well were Time Inc’s publishing interests including Time, Fortune, and Sports Illustrated .In 1995 Time Warner acquired Turner Broadcasting from cable maverick Ted Turner. Ted, never a slow thinker had acquired huge film libraries, various production companies, and numerous cable franchises. By the mid-1990s John Malone through Liberty Media had acquired so many MSOs that TCI would have a cable stranglehold to one third of the households in the USA. In order to feed their hungry cable children, TCI launched on a campaign of acquisition which included BET, The Discovery Channel and the Family Channel. Vertical integration is an arrangement in which the supply chain of a company is owned by that company. Usually each member of the internal supply chain produces a different product that feeds a need of a sister company, and the products combine to achieve a common goal or need. In the 1920’s Ford, tired of buying steel from external suppliers began making steel at it’s own foundry rather than to keep buying from external suppliers. In acquiring movie studios companies involved in the cable industry has sought to fill their pipes first and foremost. For example, Philadelphia based Comcast owns, NBCUniversal, NBC and Telemundo, Universal Pictures, Focus Features, 26 television stations in the United States and the cable networks USA Network, Bravo, CNBC, The Weather Channel, MSNBC, Syfy, NBCSN, Golf Channel, , E!, Universal HD and the Comcast SportsNet regional system. It is obvious that studios like Universal, Warner’s Fox and Paramount are all dictated to by corporate entities whose prime focus is to fill their pipeline. The other major studios Sony and Disney have to deal with a motion picture economy which has been changed forever. The audiences have been engineered away from movie theatres and towards cable environment. Movie theatres have denied content and as a result have been denied audiences. One cannot help look back on the United States v. Paramount Pictures, Inc. antitrust case that decided the fate of movie studios owning their own theatres and holding exclusivity rights on which theatres would show their films. There is a deep parallel in today’s economy. The relaxation of anti-trust laws during and since the Reagan presidency have resulted in numerous activities by the film studios and their ownership that could be actionable under the traditional application on standing antitrust laws. Unless exhibitors are willing to litigate to protect their rights government likely will not step up. It is ridiculous given the history mentioned above, that government should not play a role in assuring that all cultural groups within our diverse society have a fair and equal opportunity to tell their important cultural stories through motion pictures. Our government has been manipulated for years by and for the benefit of the forces behind the Hollywood studios. In a recent Gallup poll, 60% of the American public statement they no longer trusted the reporting put out by the major media outlets. What is heartening is the cable television’s lunch is being eaten by the emerging non-linear video on demand services such as Netflix and Amazon. Maybe there is hope in the statement issued by Amazon that it wants to release it’s original productions in the theatres and will provide a 90 day window prior to it’s own exhibition of the film. Hopefully that commitment endures. If not then maybe all eyes should turn to Pennsylvania and firmly grasped the torch lit by Marvin Troutman and his band of fellow exhibitors.